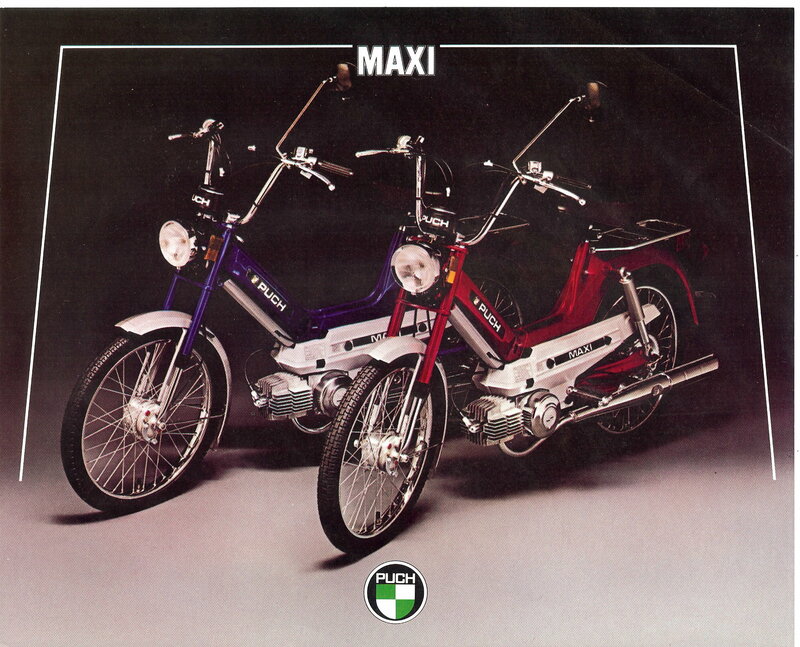 The Maxi N became the Rigid. 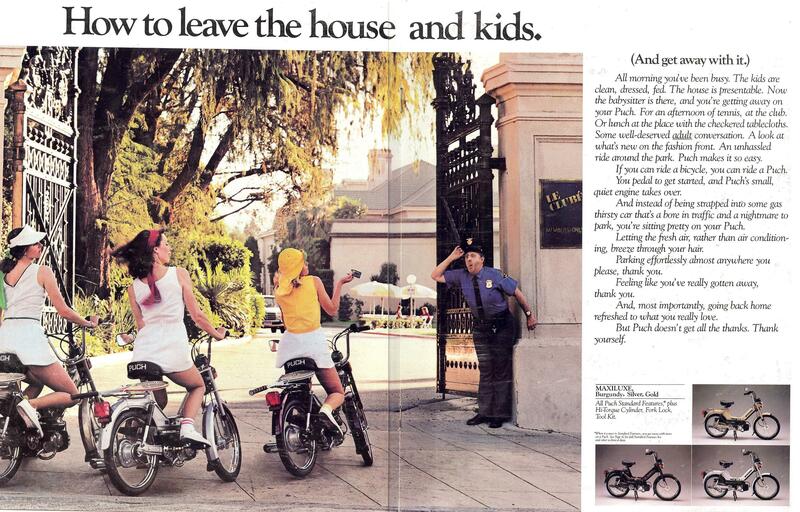 The Nostalgic became the Newport. 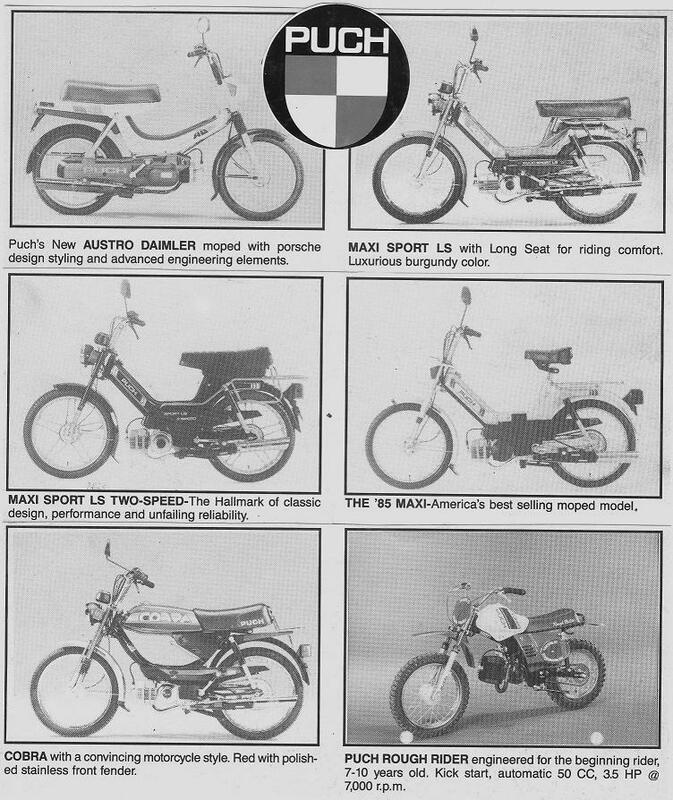 The Maxi S became Maxi Sport. 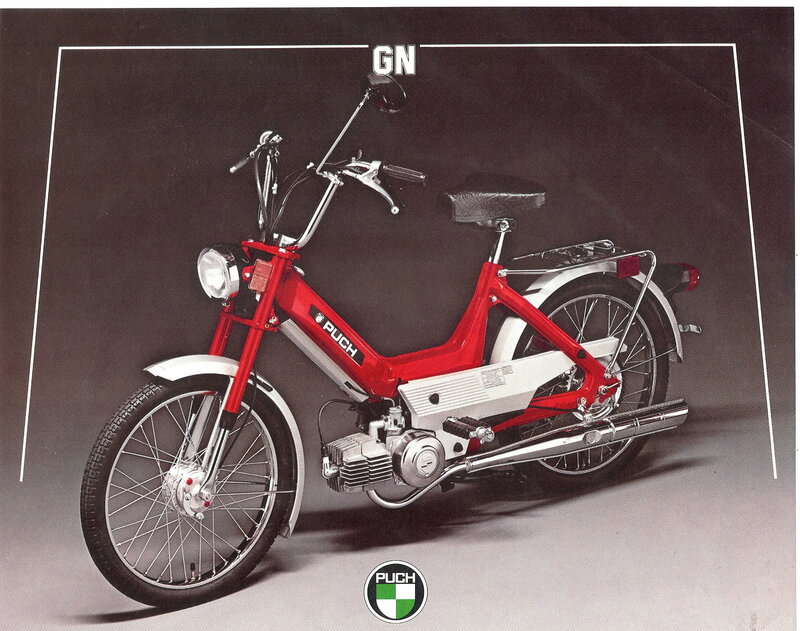 The Rigid became the GN. 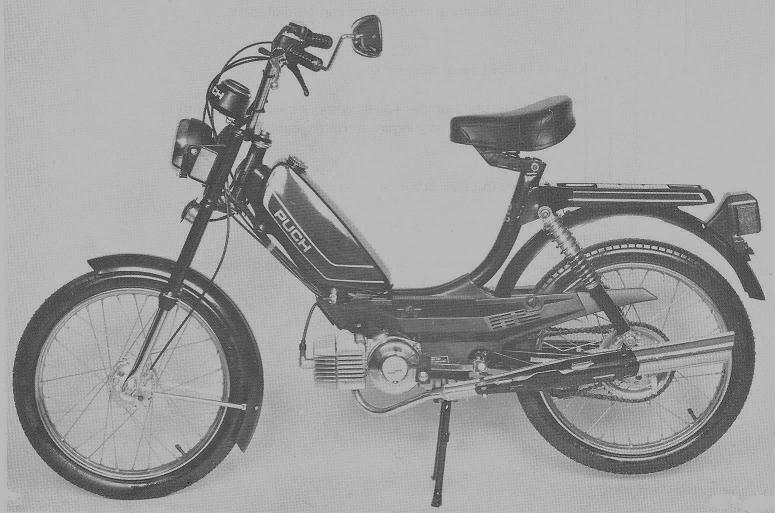 The two speed engine was introduced on Maxi II. 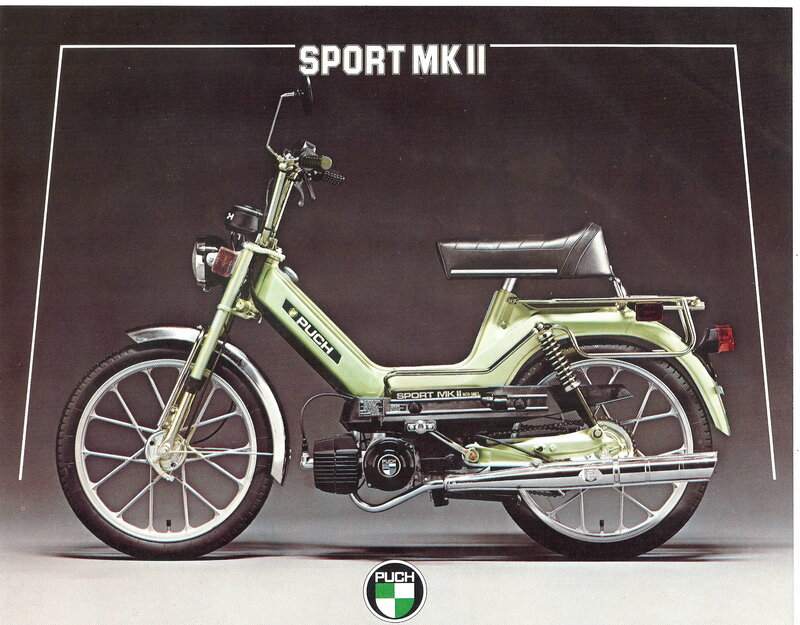 The Maxi Sport became the Sport, or Sport MkII. 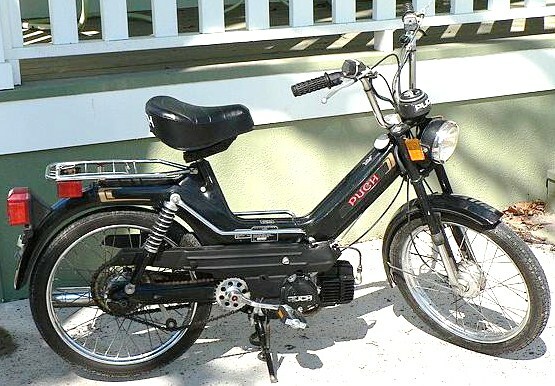 The Newport became Newport L, or Newport (oil inject). 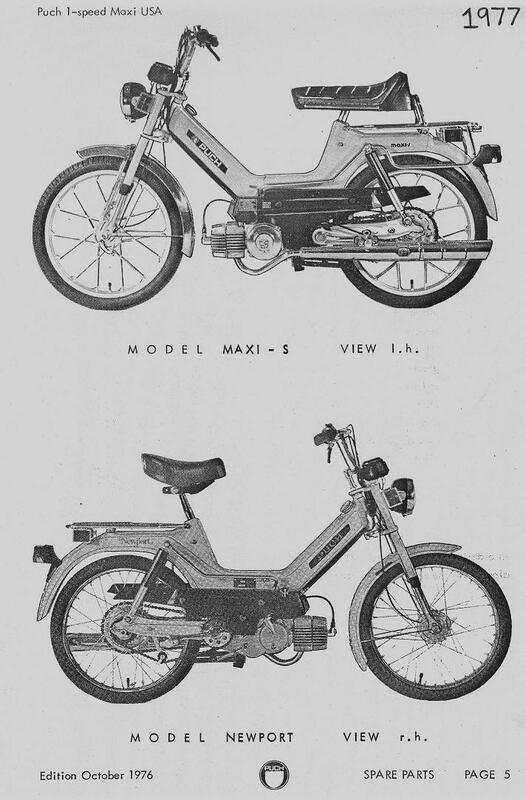 The Magnum top tank models were introduced. 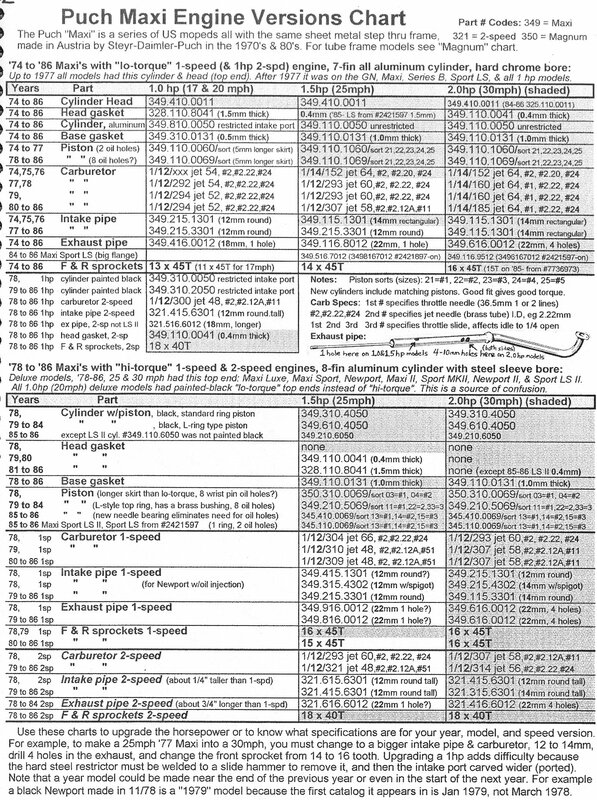 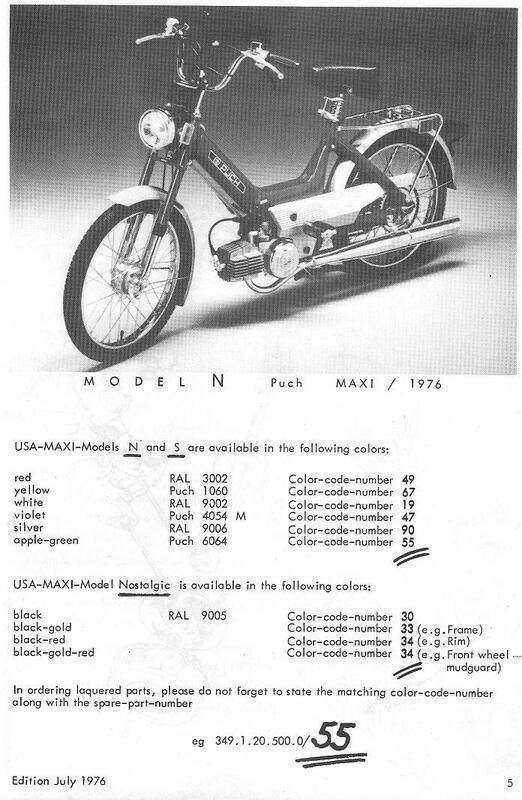 Many one speed models were discontinued. 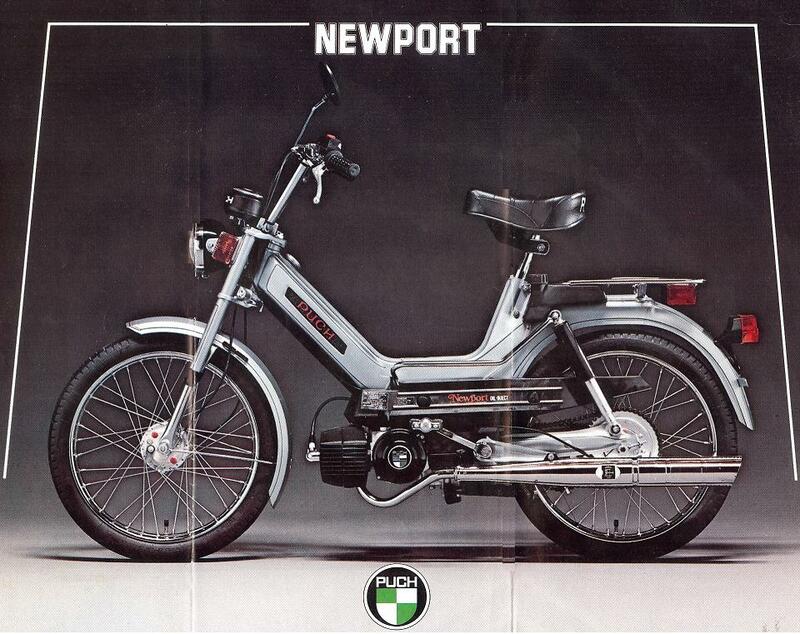 The Newport became Newport II. 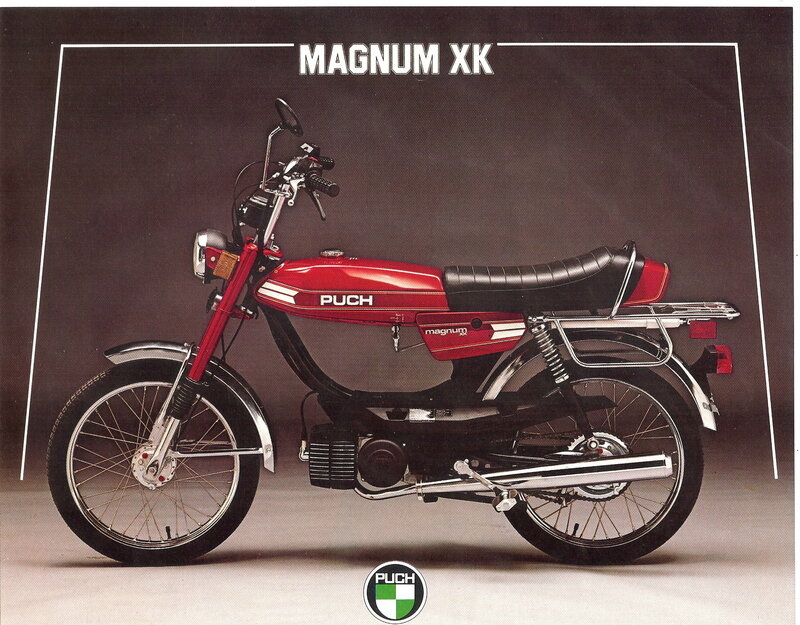 The Magnum XK became Magnum II. 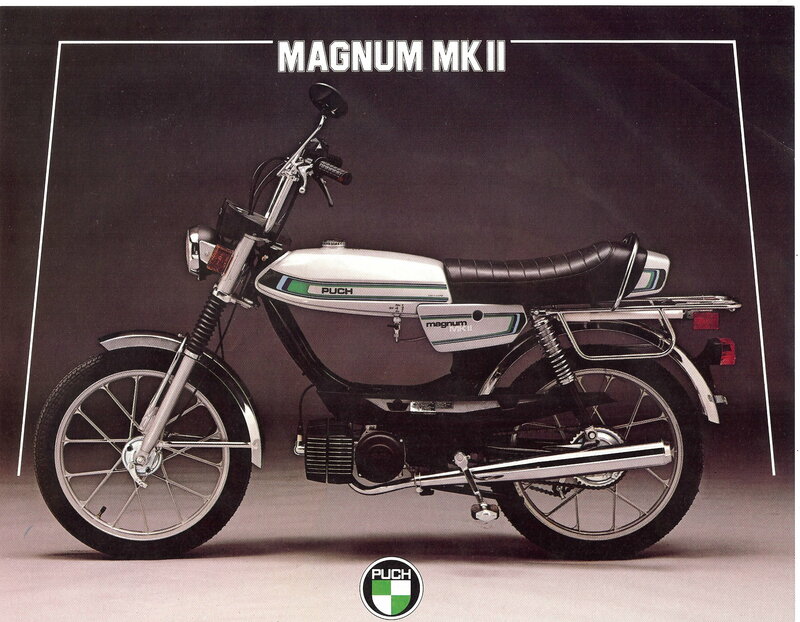 The 100 year anniversary Magnum Limited Edition. 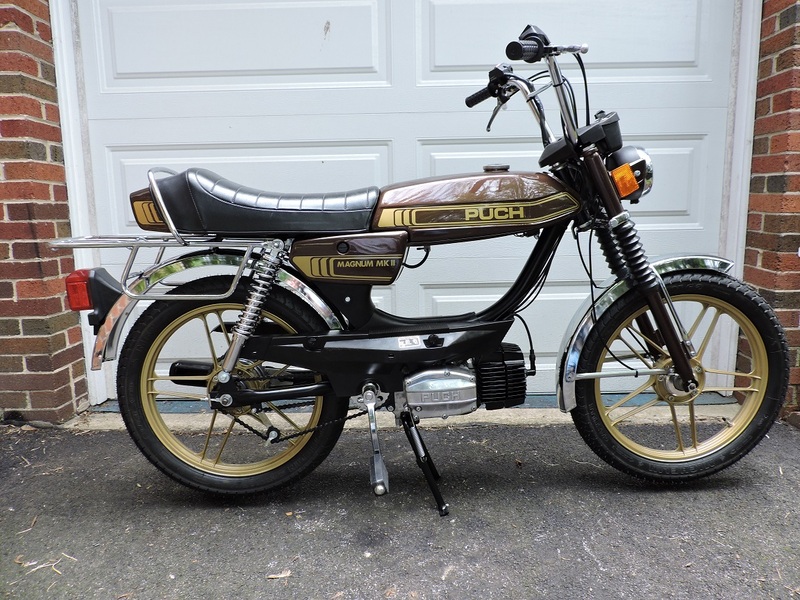 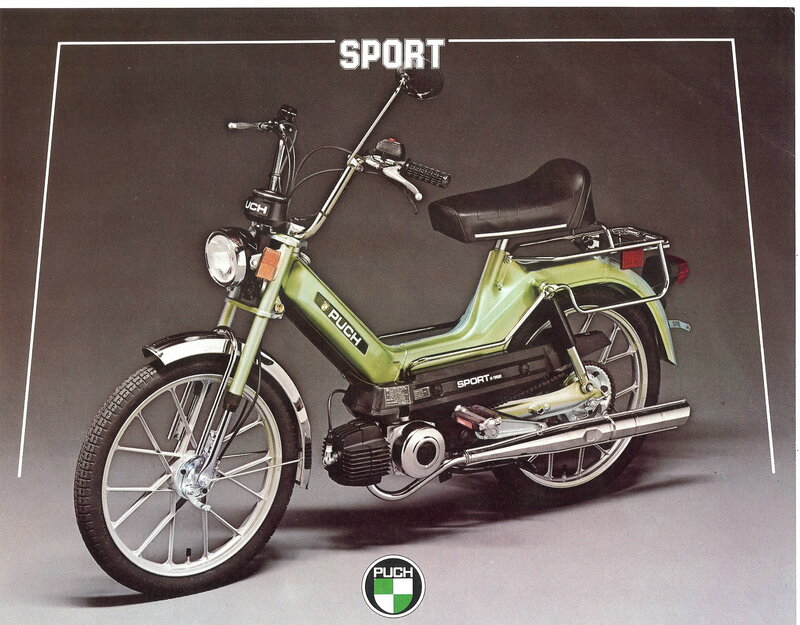 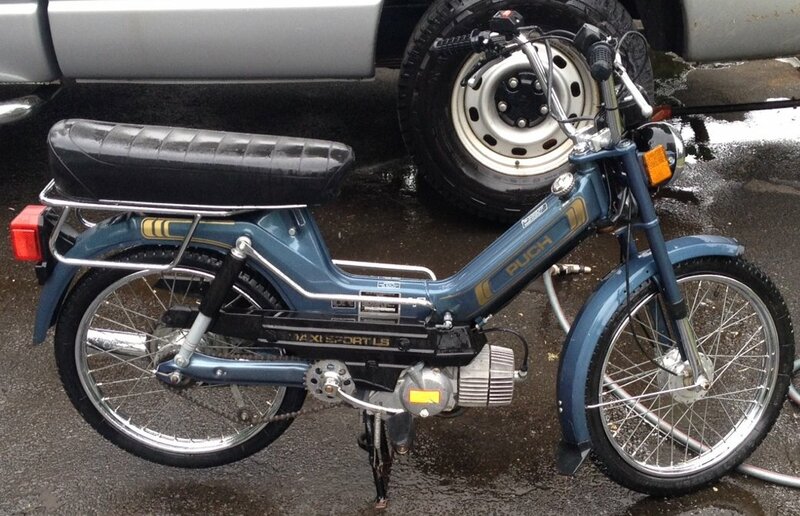 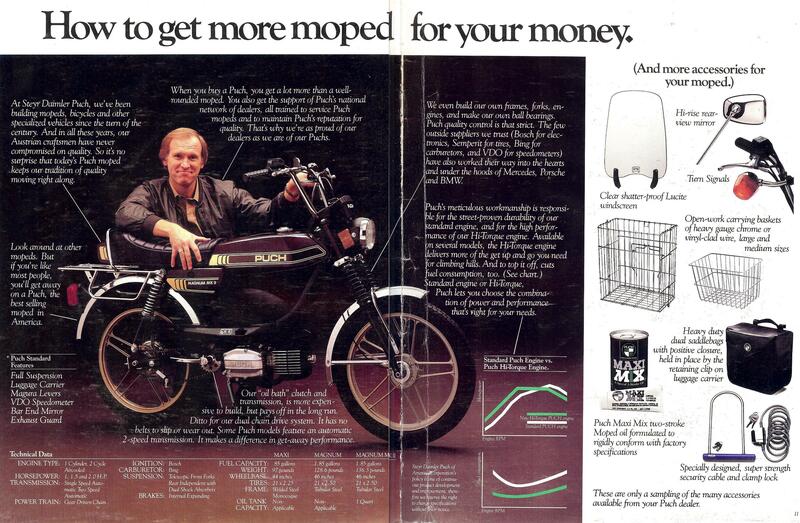 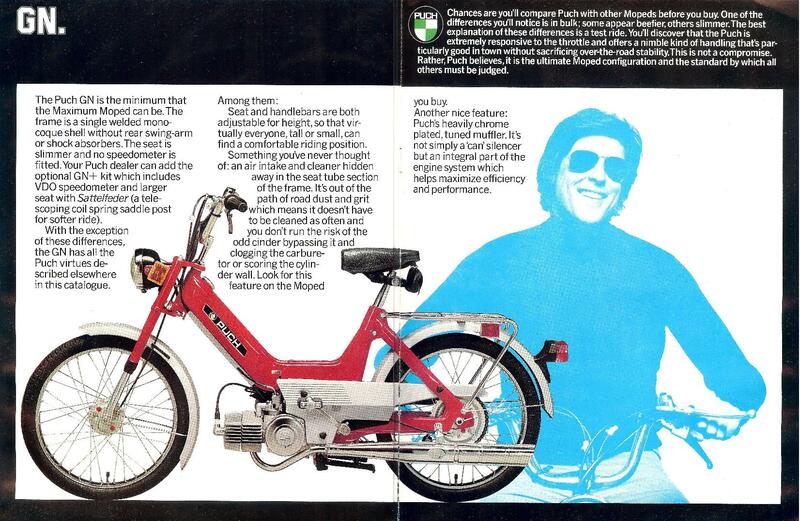 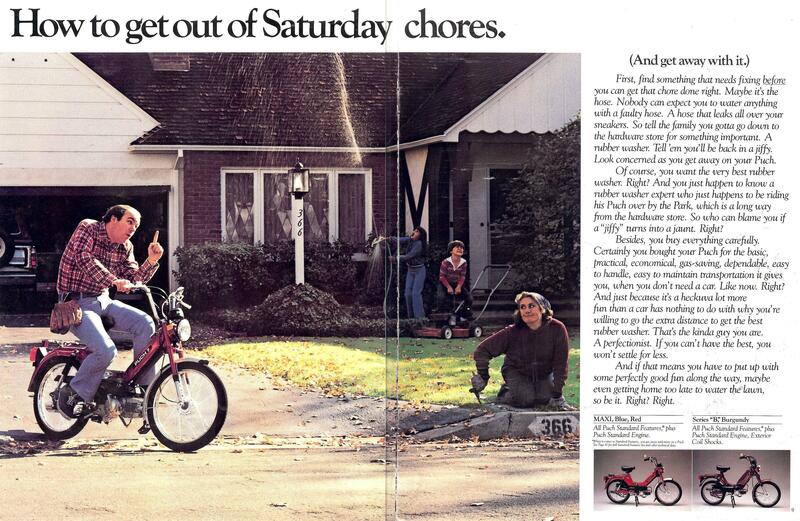 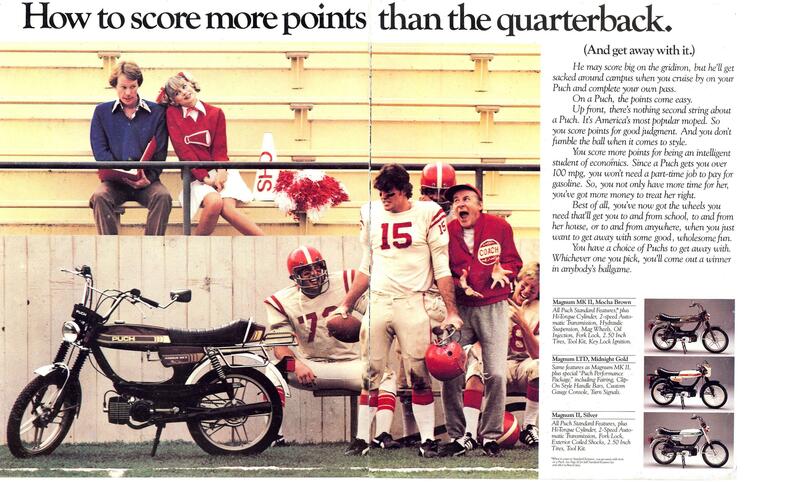 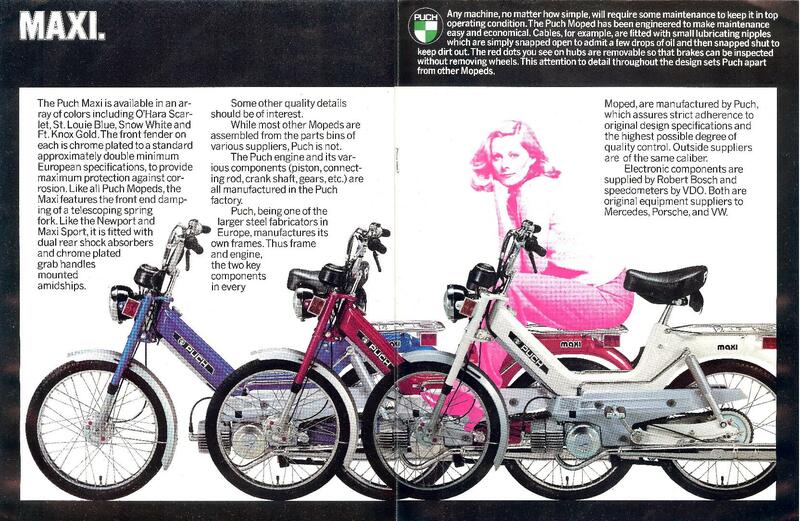 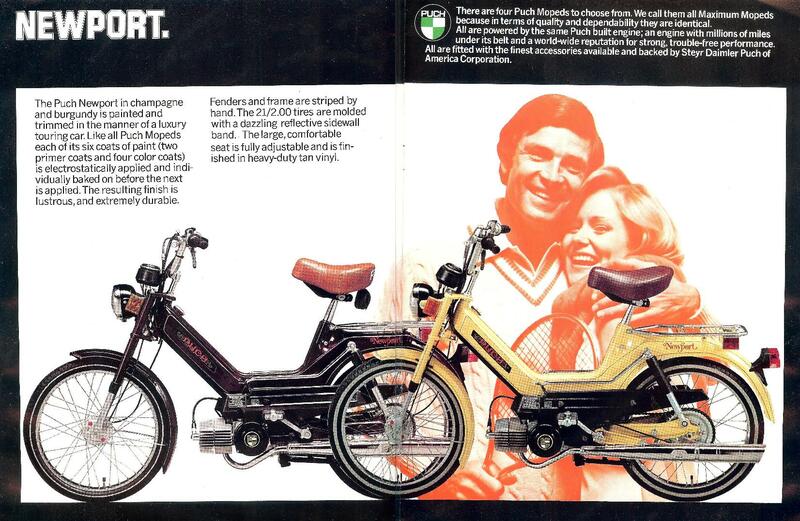 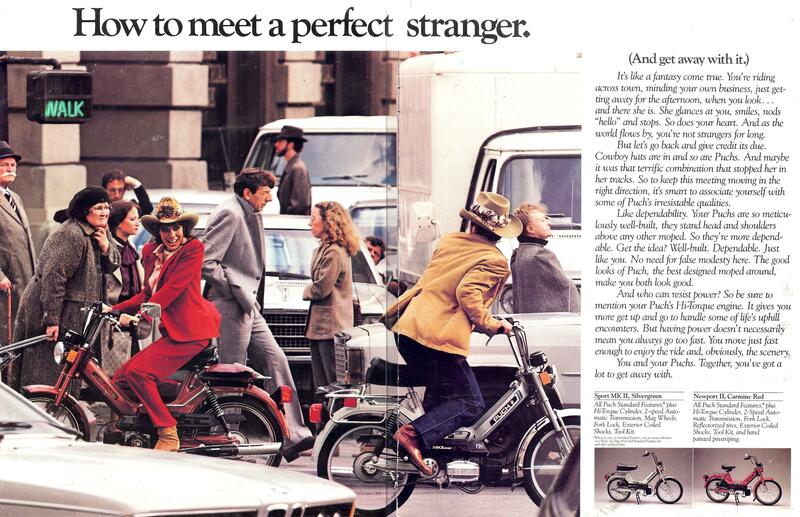 The Puch Series B was better known as Murray. 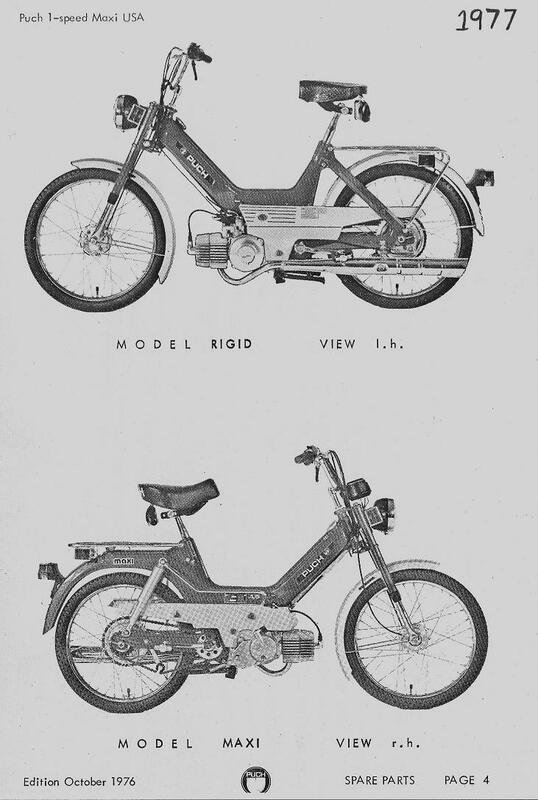 Puch spent much time and money designing the Austro Daimler (Maxi Plus). 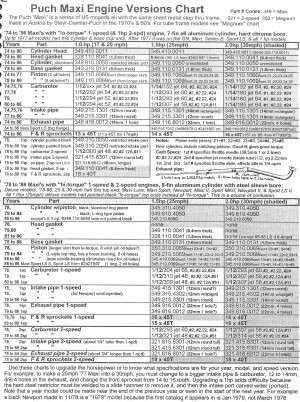 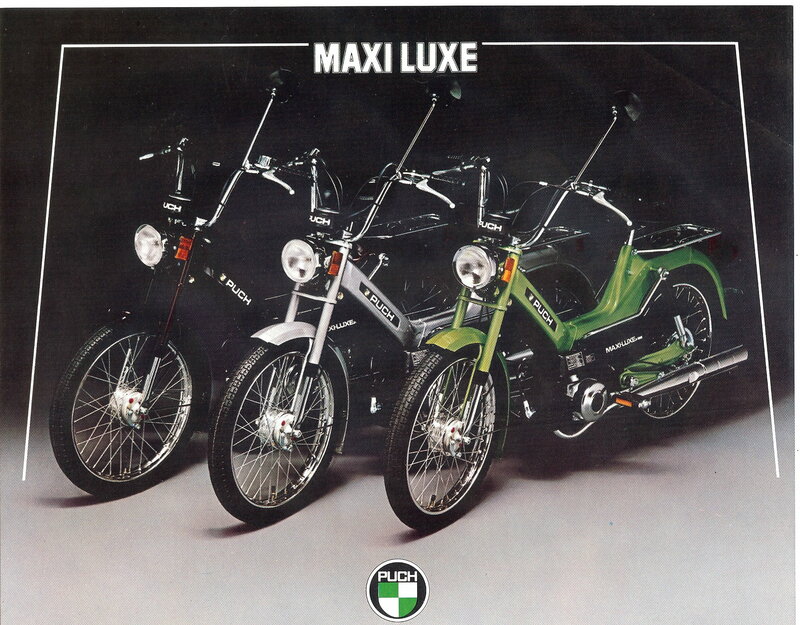 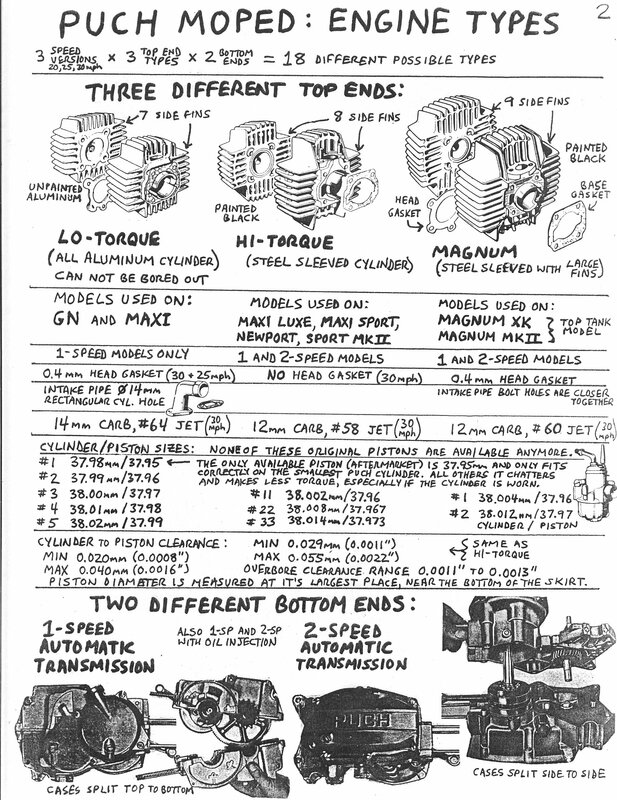 Puch called it “Austro Daimler” in the sales flyer, and “Maxi Plus” in the parts manual. 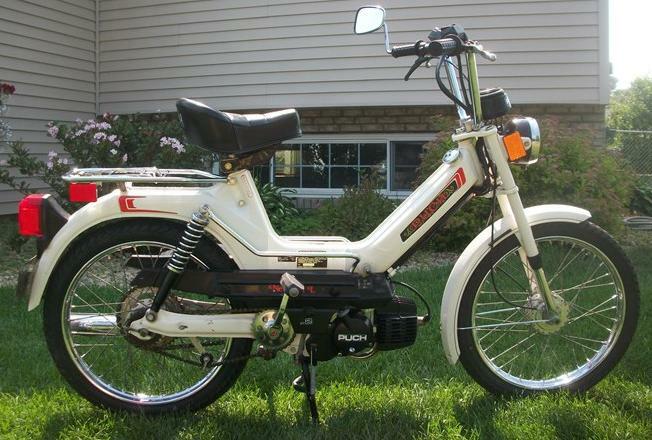 Too bad it had a high price, and was only made 1984-1986. 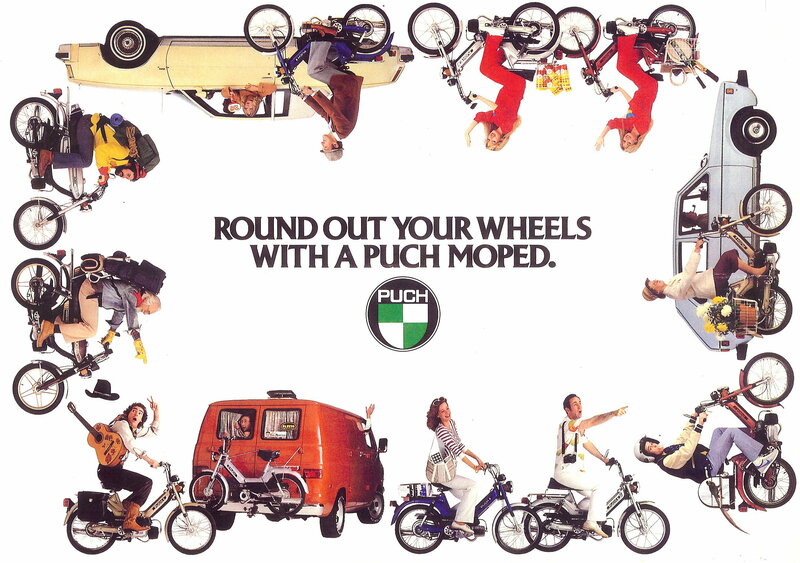 The 1984-85 Puch Maxi had a thinner front rim and tire. 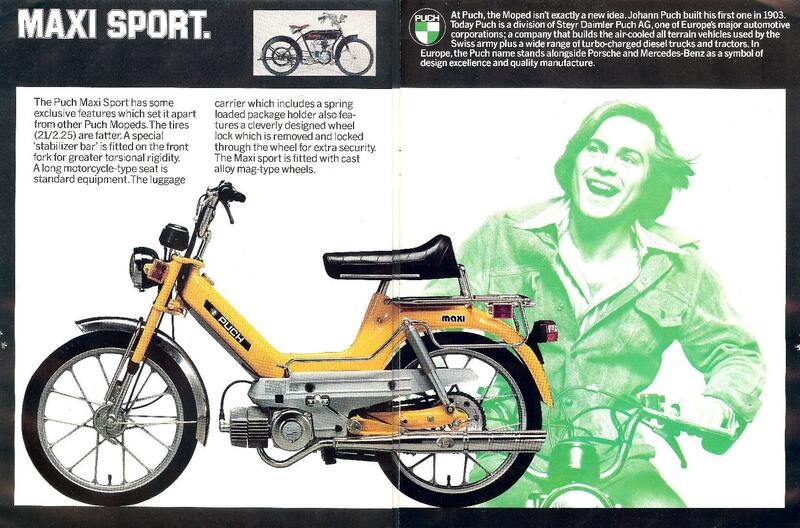 Front rim was 1.1 x 17″ with 2.00 x 17″ tire. 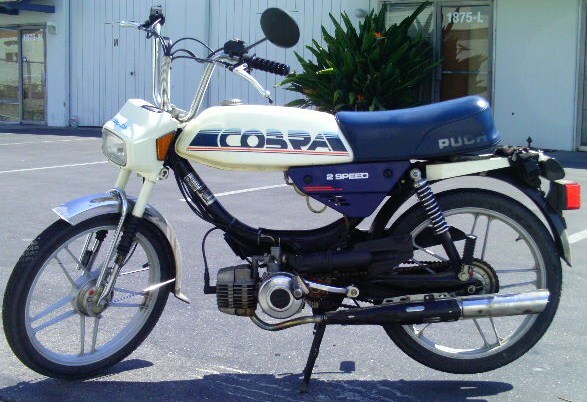 Rear rim was 1.35 x 17″ with 2.25 x 17″ tire. 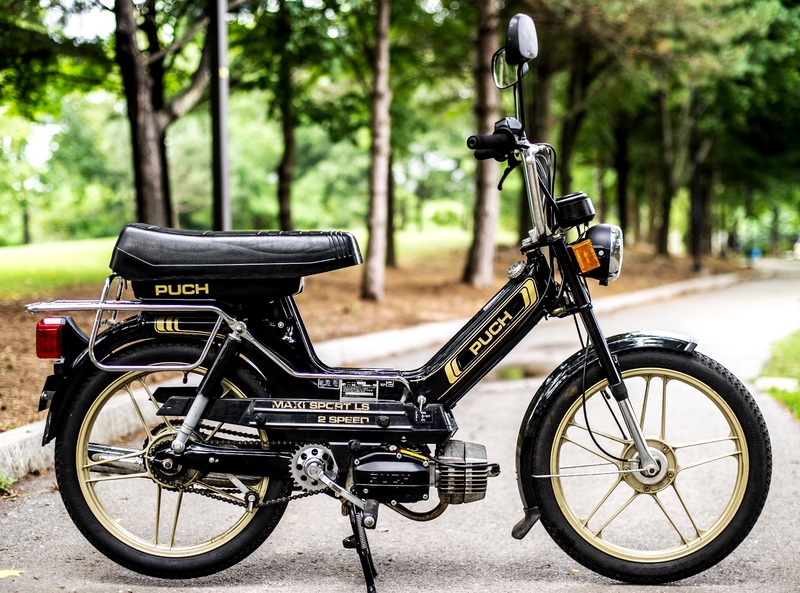 After over 100 years, Steyr Daimler Puch went out of business. 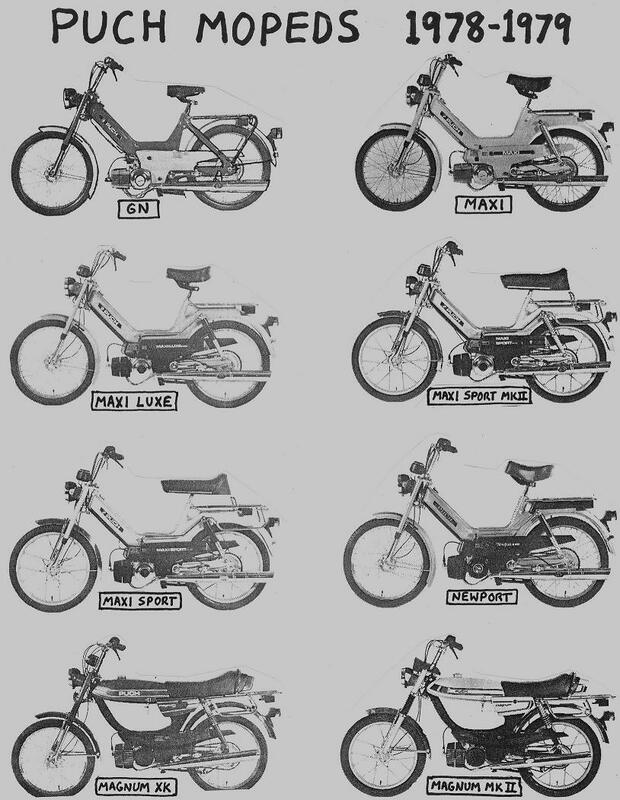 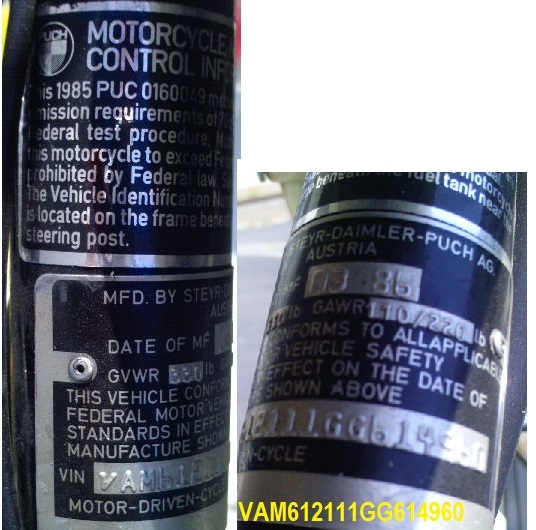 The moped making equipment was sold to three different countries. 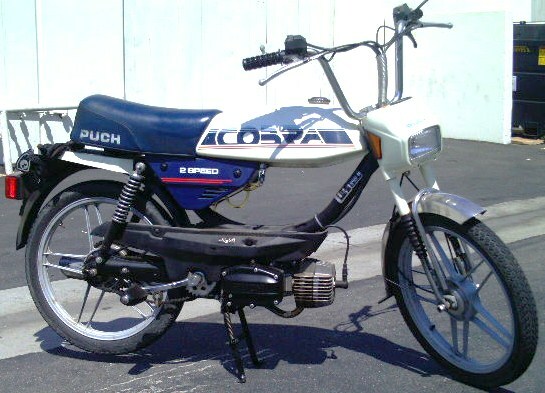 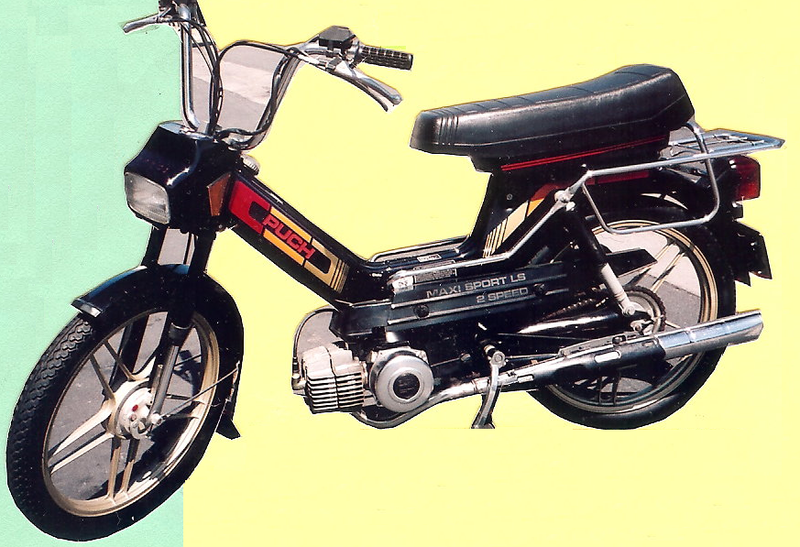 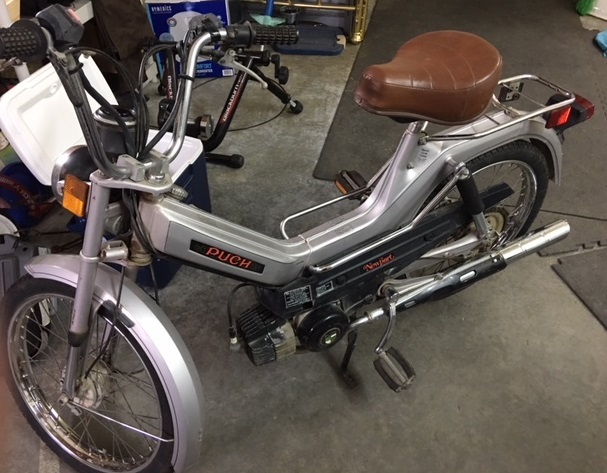 First Piaggio in Italy produced the Puch Super Maxi in the early 1990’s. 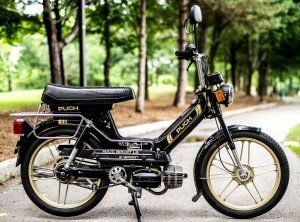 Then Manet in Slovakia produced the Puch Korado in the late 1990’s. 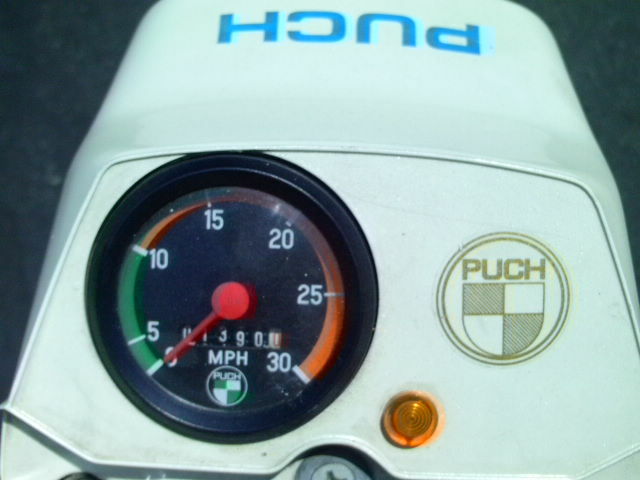 Then Hero in India produced the Hero Puch Automatic in the early 2000’s. 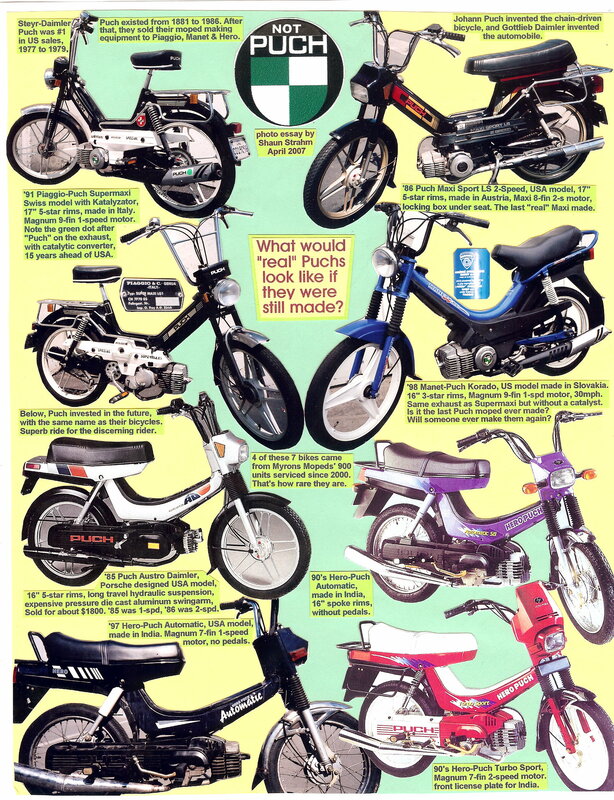 These remake Puchs had many things the same, but also many things, especially out-sourced components, different from the original Puchs. 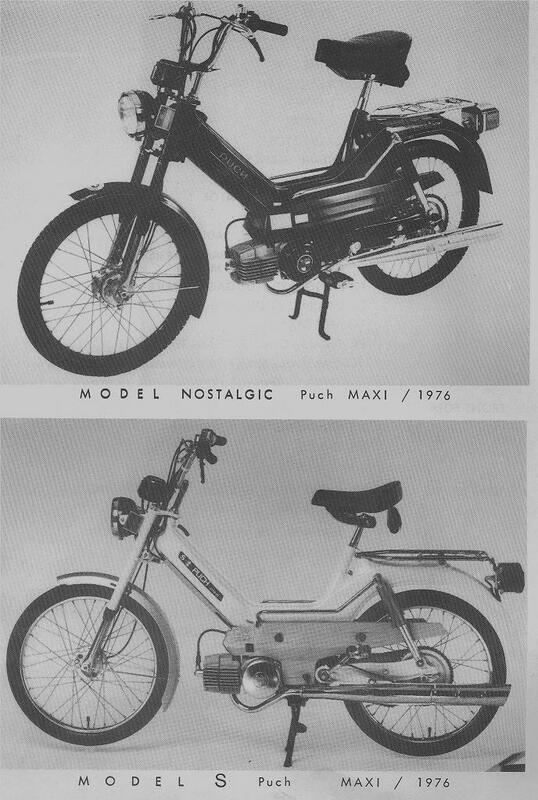 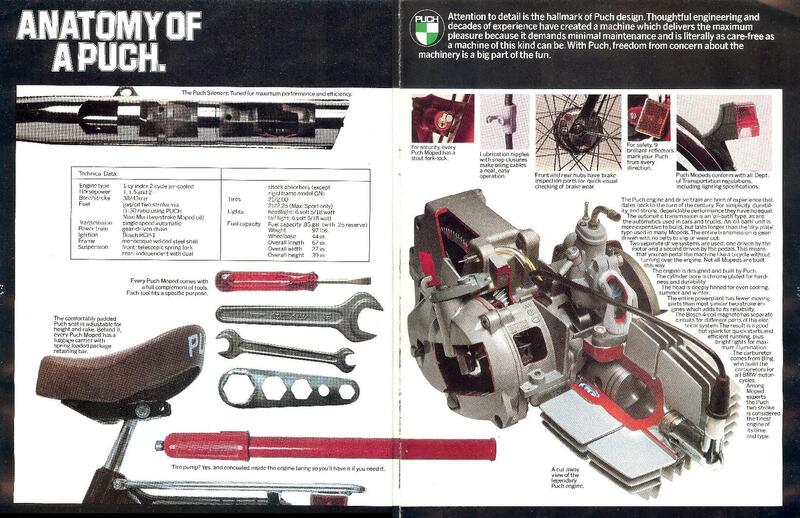 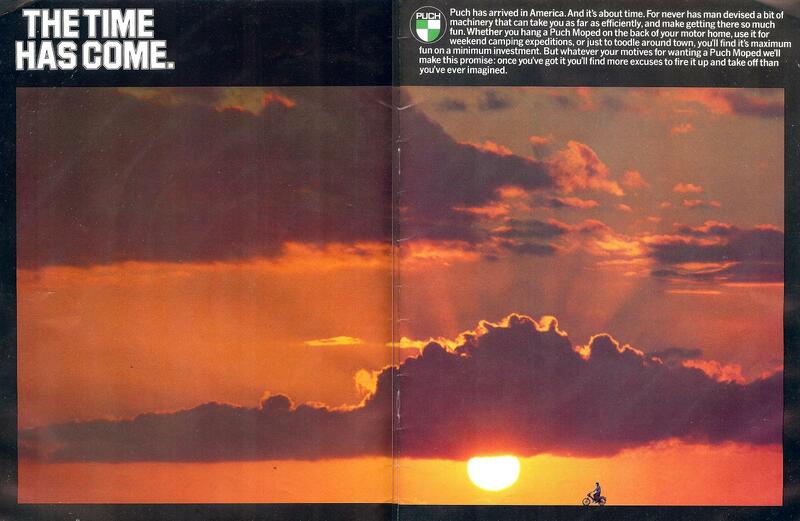 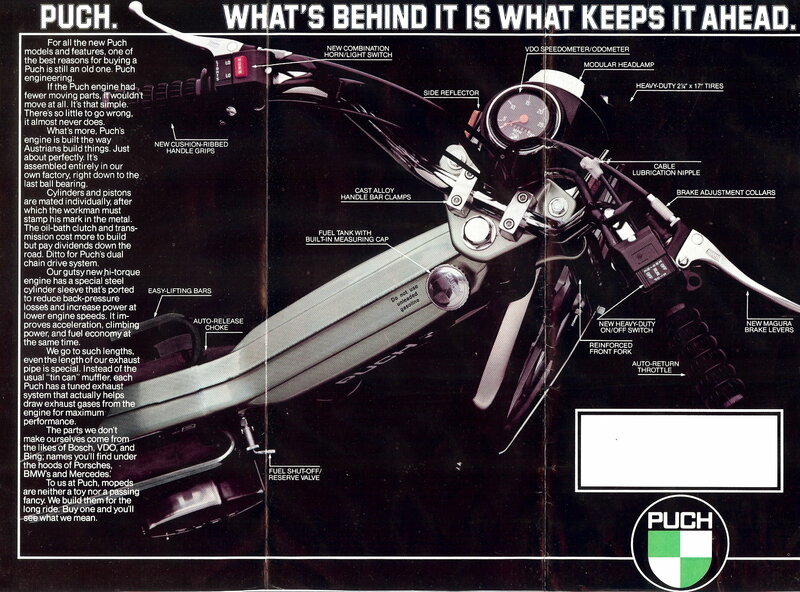 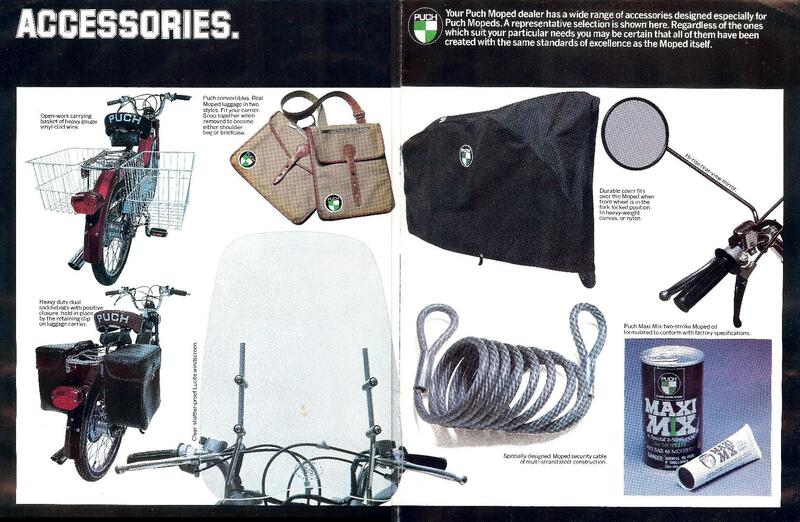 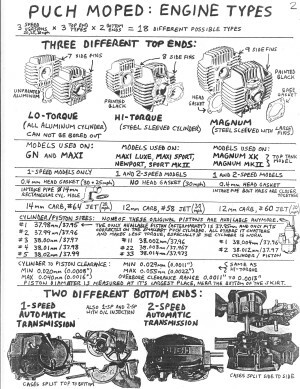 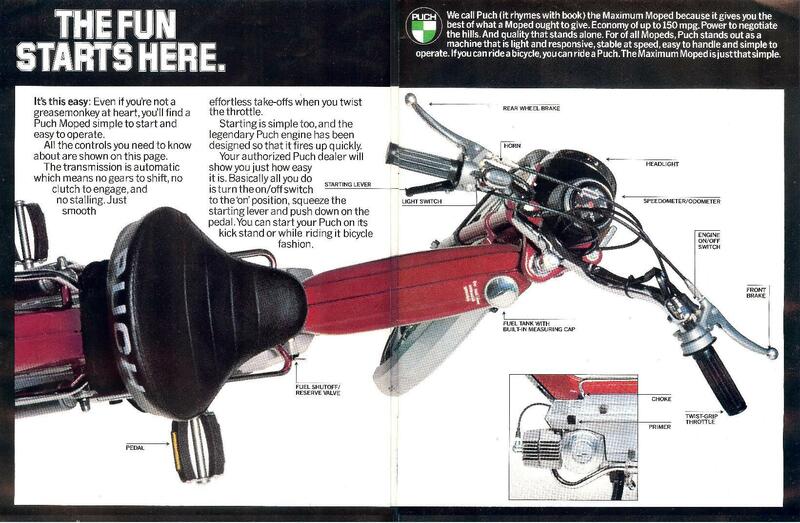 You are currently browsing the archives for the Puch Parts category.